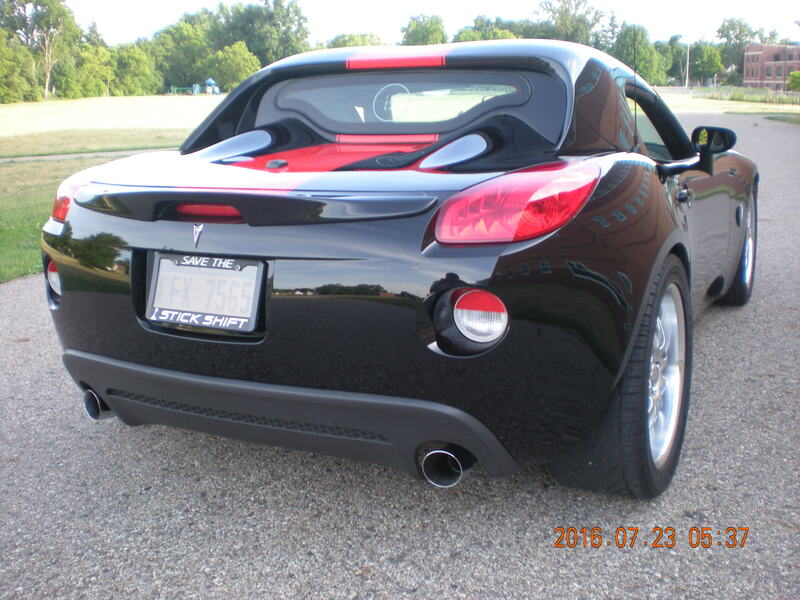 Pontiac Solstice Forum > General Solstice Discussion > General Solstice Discussion > Say Yes to a Norms Ducktail Spoiler! Norm, still want a Normsfiberglass version ducktail spoiler. Last edited by ChopTop; 06-17-2018 at 01:01 AM. @normsf still hoping you'll make a version of a Ducktail spoiler. Wouldn't that be a coupe? The design calls for a body with smooth contours that continues to a tail that is abruptly cut off. This shape reduces the drag of the vehicle. I'm very impressed how very tastefully the duct tail was done in some of the pics. I'm personally one for sleekness & not much hang over either. Lots of food for thought with this thread . 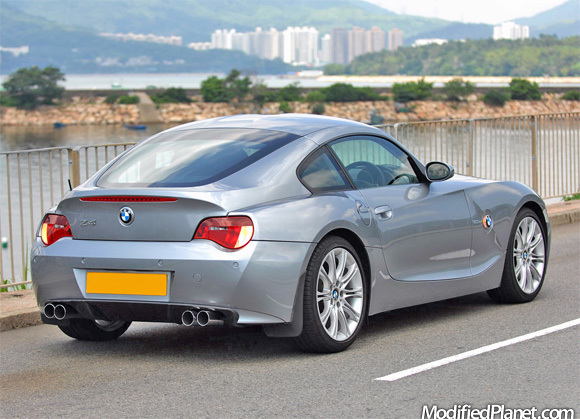 I wonder what the coupe would have looked like with out the spoiler. I've read that the individual that was responsible for the coupes production design was GM Creative Lead Designer Jose Gonzales (Franz had left for Mazda by then). There used to be a video on you YT explaining in designer lingo why the spoiler was designed in. Something to do with wanting a specific angle of the fastback and having to add a few inches to the rear to achieve it? Necessitating incorporating a spoiler for the added length? Unfortunately, the video is no longer available. 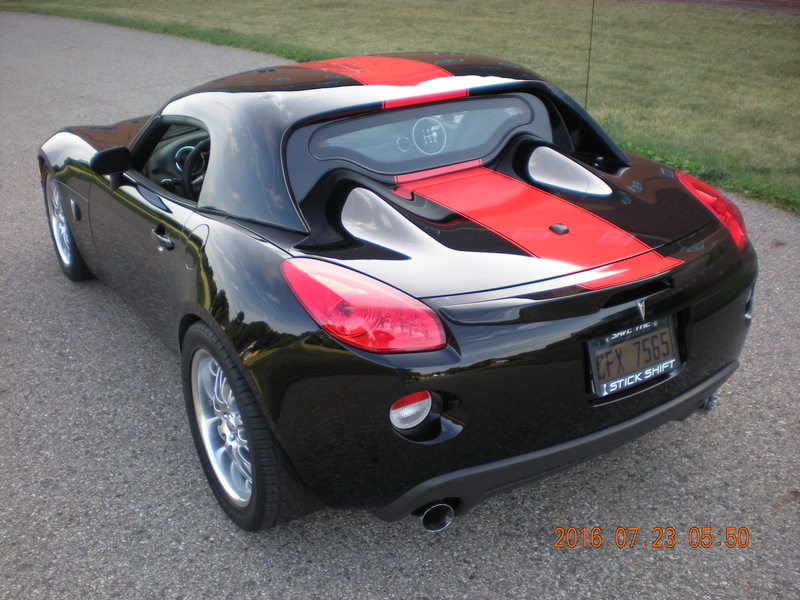 2002 Pontiac Solstice Coupe Concept. I remember back in the day pleading with Pontiac to NOT visually cut the car in half by including the exposed B pillar because it would make a short car look even shorter. Luckily they hid the B pillar under glass. Last edited by ChopTop; 01-21-2019 at 11:25 AM.